A theatre located in Moranbong Park. 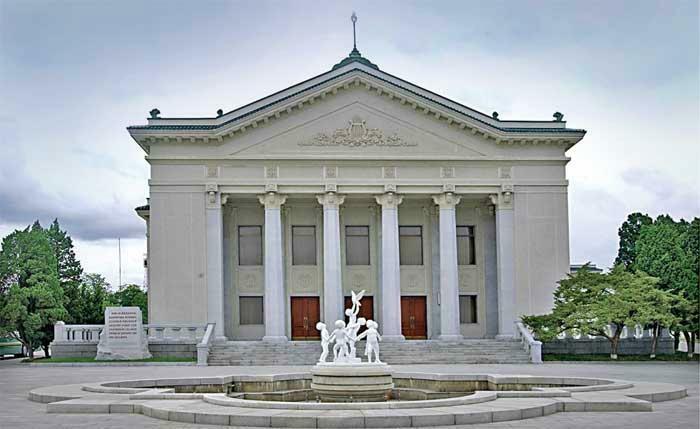 Features a Soviet-influenced neoclassical design. It is one of the oldest buildings in Pyongyang. State Symphony Orchestra performances can be attended here. Be sure to check out the exterior and interior of this magnificent building. 20 euros out of pocket for a ticket to see the State Symphony Orchestra. Can be paid in Chinese yuan or USD. State Symphony Orchestra performances are held during certain times in the week. Inquire for more details. First built in 1946 the year after liberation from Japanese rule. 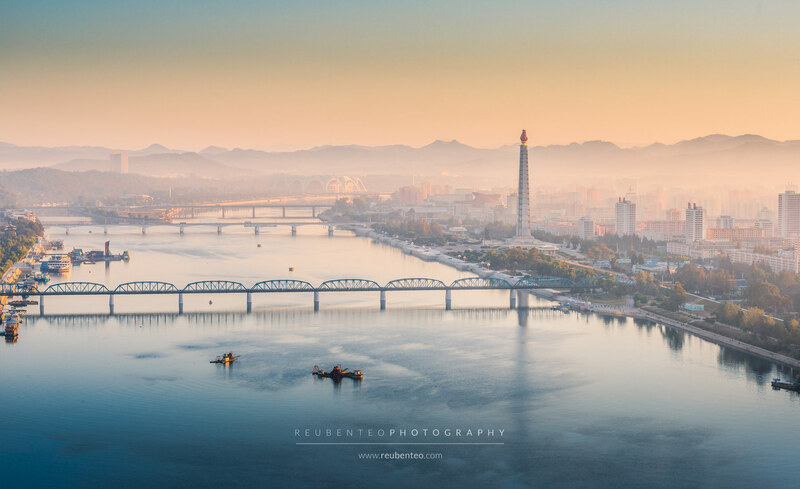 Destroyed in 1950 during the Korean War but rebuilt soon after. 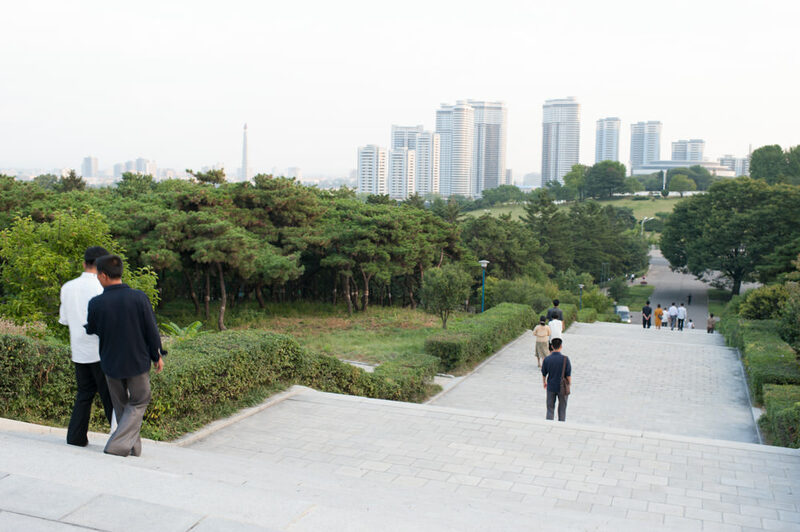 Renovated in 2004 on the orders of Kim Jong Il. In 2006 a special concert was held commemorating the 250th anniversary of the birth of Mozart. 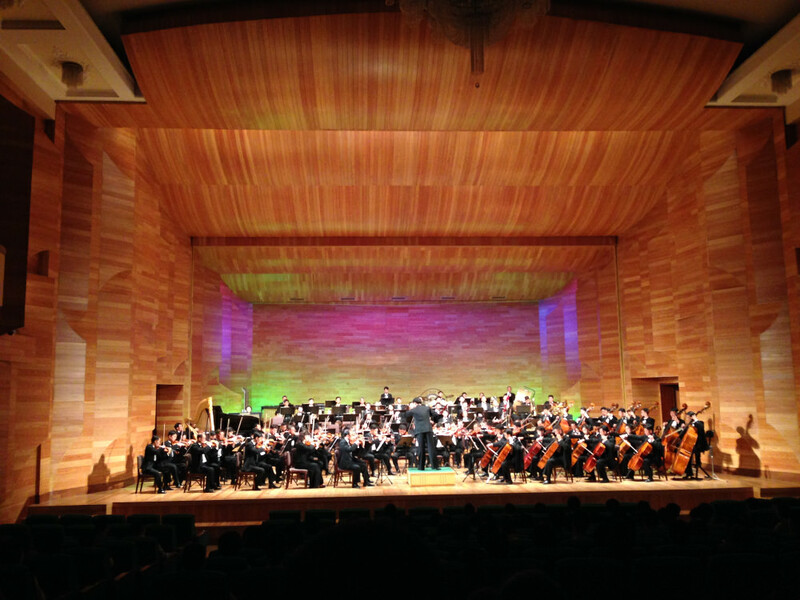 The State Symphony Orchestra is essentially a Western symphony orchestra, but it also incorporates traditional Korean instruments such as the Kayagum into its program. The DPRK State Symphony Orchestra is based here. The orchestra plays Western classical music as well as Korean revolutionary and folk songs. Ticket to see a performance of the State Symphony Orchestra at Moranbong Theatre. View from the front of Moranbong Theatre towards Moranbong Park and Changjon Street.